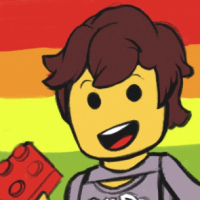 i watched the Lego episode of "the toys that made us" last night. wasn't as good as some of the other episodes they have aired. 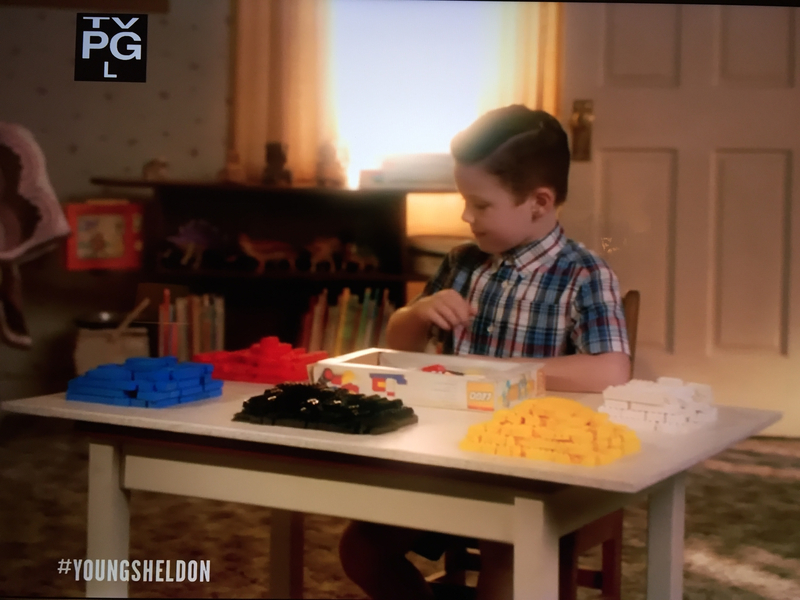 I haven't seen it mentioned, but Talbot's son was playing with some LEGO in the second to last episode of the season. ^^Season 5 ? We haven't seen in here in the UK. ^ Yes, season 5 is in full swing in the UK now, a ridiculous delay after airing in the USA. I guess we're about halfway through the season now? I anticipated like the previous series the plot would significantly shift halfway through, but in the case of this series it happened earlier and may happen multiple times. If it sounds like I'm speaking vaguely it's because I don't want to reveal any significant spoilers from the "Destroyer of Worlds" storyline they're following. It's a good thing the reference to Talbot's son playing with Lego is about as insignificant to the plot as it gets though! According to Matthew Ashton on Instagram, filming as finished on the second series of Lego Masters for Ch4 in the UK. Air date due sometime in the autumn. Let's hope the number of episodes doesn't feel rushed this time! They could have had another normal elimination round with the shortlist of regular contestants last year rather than eliminating 2 teams at once, and even a full episode dedicated to showing how all the applicants are whittles down to the shortlist in the first place. Otherwise I hope the format is still more or less the same with new challenges. Ive developed a strange habit of watching Everyone Loves Raymond reruns if they happen to be on while channel surfing. I've noticed at least half a dozen different occasion where there are LEGO sets in Ray's living room. Generally shown in the background on a shelf or tabletop, that red square is unmissable. I've now seen it often enough that I'm fairly convinced its product placement. On the US Science Channel show, Impossible Engineering - World’s Biggest Ships, about 7 minutes in, LEGO is used to explain how ships used to be built before modular design. i watched the Lego House doco on Netflix last night. i really enjoyed it, but it wasn't long enough. i wanted to see more of everything. there's a casting call on TV at the moment for a Lego related game show. is there a European version currently screening that i'm not aware of? thanks for that. i didn't think we would come up with the idea ourselves. There will also be a German LEGO Masters version. Casting was in June, and recording is currently ongoing. (July 16 - Aug 12) Will be broadcasted in autumn. Not sure on which tv station, but it's an Endemol-linked production company, so maybe RTL? In the season twelve premier of Big Bang Theory, Sheldon and Amy go to Legoland on their honeymoon. Well, Lego was featured heavily in the opening of Big Bang Theory last night. Still think they should do an all Lego episode like Simpsons did. I'm getting quite antsy that I haven't heard anything about the upcoming series of Lego Masters on channel 4 for a long time. There doesn't even seem to be any articles about it yet online since the applications and filming earlier in the year. Perhaps they're trying to let Bake Off run its course first rather than potentially cannibalise viewers when it's shown in a similar slot. I wish they had actually gone into Legoland though. From the premiere, it looks like all they did was get a room outside Legoland with a view of the main entrance. 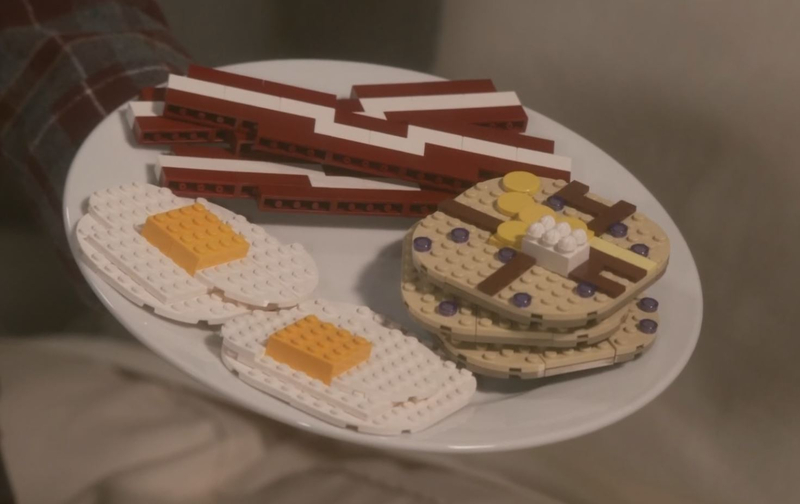 Here is the breakfast that Sheldon gave to Amy. But can you go into Legoland without kids? Yeah, it's only the Discovery Centres that you can't get into without kids. I've been to Legoland twice now; once on my own and the second time with a much older friend. Didn't hear anything yet either about the UK one; however there's some news about the German version: it will air on RTL at 20:15 CET. No exact dates yet, but scheduled for November. 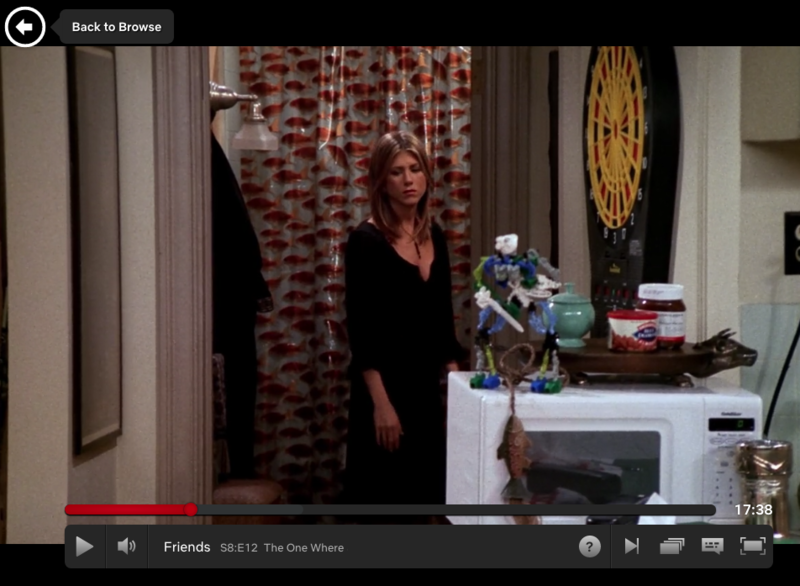 Just spotted the combined build of Bionicle sets 8536, 8533 and 8535 on the microwave in an episode of Friends. ^ We could get the ideas set after all! 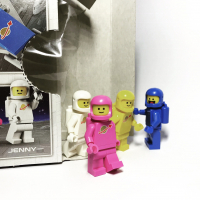 Just like big bang the show includes Lego. On Season 2 episode 3 of "The Resident" a surgeon nicknamed "The Raptor" uses a robot surgery machine to build a LEGO raptor to demonstrate his mastery of the machine. Aside from the prop error, the plot point is actually pretty accurate. 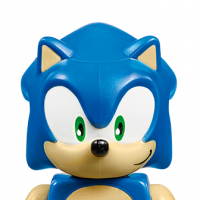 The kid who skipped 5 years of time somehow is upset because he wants the sets he had before, but they are no longer available. He doesn't understand why he can't get those sets back. Fortunately sis was a closet Lego investor, because she put them all in storage for him! There's already a new thread for the new season of Lego Masters in the UK here, but there's also some news about the German version: 1st episode airs on Sunday 18 November on RTL at 19:05. Lego designer Juliane Aufdembrinke is representing TLG on the judge panel. This is why that show is terrible. No attention to detail! Huh, there's a Bionicle in that picture? Three, actually. 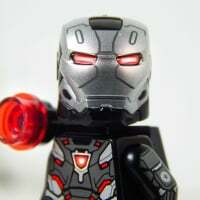 The Toa Kaita Wairuha, with the wrong (white instead of green) mask. A new series of Lego Masters, Tuesday, Channel 4, 8pm. I'm looking forward to the new teams and new lego building challenges. 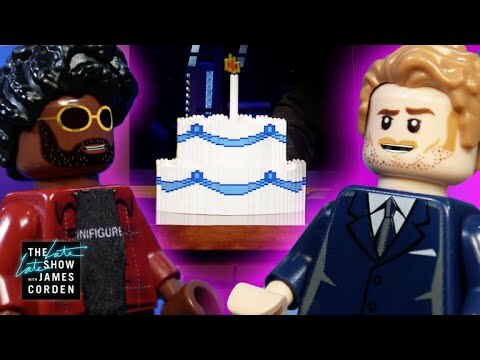 LEGO got a mention on Dr. Who tonight, but none actually present. ^ Starts with the main challenge of building a sturdy bridge (plus I imagine a couple of others) - will be interesting to see just how much stress the bridges have to withstand. The chairs just had to withstand Melvin sitting on them last year - maybe he has to be able to walk across the bridges this year? We'll find out very soon! They’re building LEGO bridges on Dr Who now? Re Lego Masters first interesting thing Matthew Ashton sketching a minifigure with giraffe neck & head. One for the next CMF series? ^ I noticed that too! Although it could've easily been phased out of a previous series. In the first segment of he programme I'm missing the sneak peak into the shortlisting finals that we had last year - but seems like a good mixture of teams. The kids-only teams do seem to be at a disadvantage when there's artists and architects in the mix - although the two boys are doing a pretty good job - they just needed more time really. ^ That’s true. Could have been a S18 reject. Maybe a bit too much like TRU Geoffrey. This skyscraper they're all building as a group combining all the floors is looking insanely good - reminiscent of that challenge the AFOLs did at the Lego House recently but at an even larger scale. Happy to see that many of the teams are quite evenly matched at this point - hard to call who will have to go! Loving the younger contestants imaginations. Modular skyscraper!! There was a life size LEGO 13th doctor on the “Viewing Party” episode to kick off the new season.